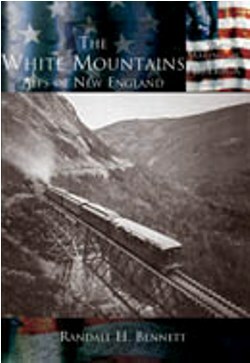 White Mountains: Alps of New England, by Randall H. Bennett, 2003. Excellent narrative history of the Whites, covering Native Americans, early explorers, settlers and scientists, tourism and the grand hotels, logging, hiking and recreation, and conservation. Illustrated with many vintage photos. 160 pp., 6 1/2" x 9 1/2".